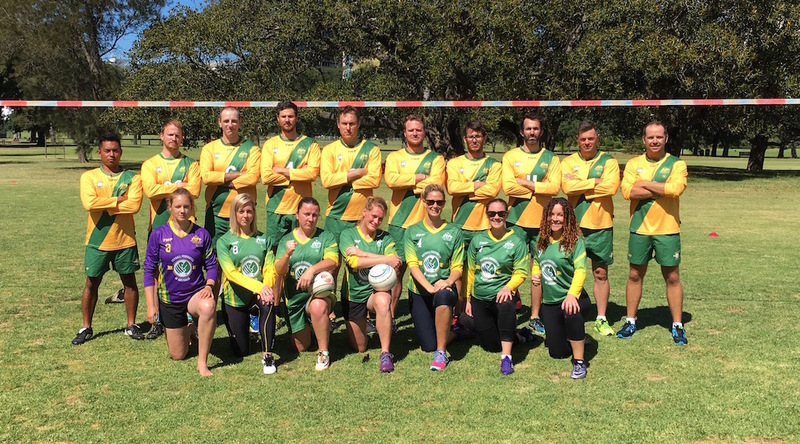 The Fistball Federation of Australia (FiFA) is pleased to announce the official selections for the Australian national men’s and women’s fistball teams that will be competing on February 4th-5th at the 2017 Trans-Tasman Championships in Geelong, Australia. This will be the first time Australia has hosted an international fistball tournament, and New Zealand’s first appearance on the international fistball scene. In addition to the national teams, the VFL 2016 club champions Fist Club have named their squad to take on NZ club champions Fists of Fury at the same tournament. 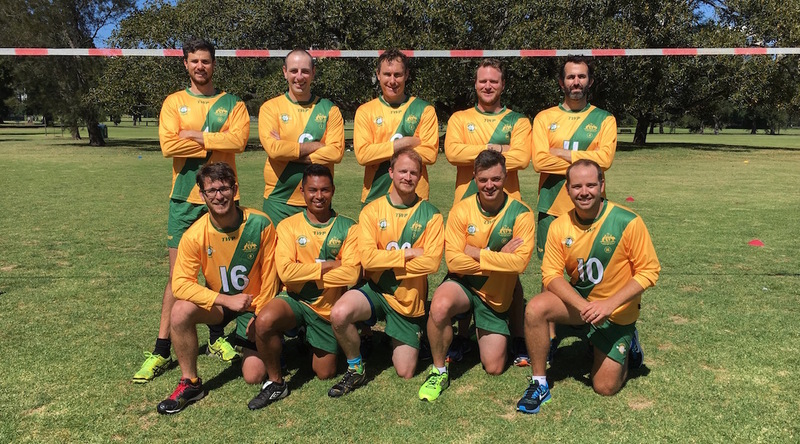 The men’s team will feature six experienced Aussie fistballers amongst its 10 man squad, with newly-appointed captain Jason ‘Butchers’ Beelders, Jason ‘Richo’ Denholm, Bryce ‘The Pope’ Griesheimer making their second international appearance for the Wombats after 2015’s Men’s Fistball World Championships in Argentina, while vice-captain Chris ‘Super Mario’ Milne, Eric ‘The Dog’ Maddocks and Lee ‘Power Station’ Morony will be making their third appearance after also featuring in the 2014 Asian Fistball Championships. 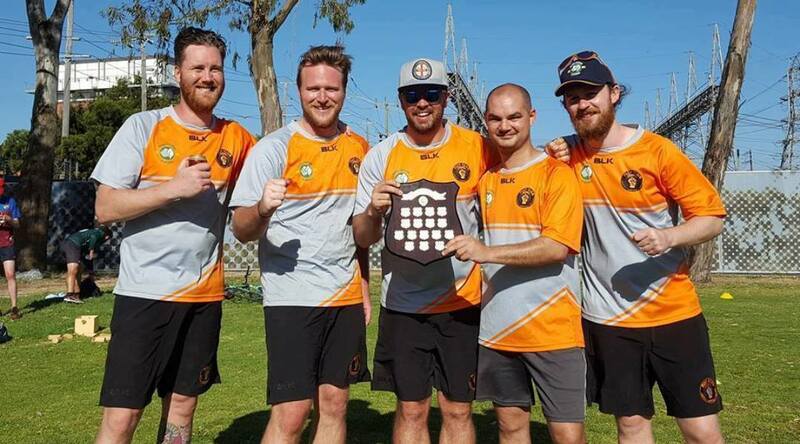 Joining them will be four national team debutants – Derek ‘Dobbo Dobfist’ Dobson and Peter ‘The Duke’ Earl of the Bay City Fisters, Paolo ‘Pablo’ Nicolas of South Melbourne Green Demons and 2016 VFL Rookie of the Year – Rod ‘Inanimate Carbon’ Matthews of Fist Club. Powerhouse attacker Carl ‘Carlossus’ Creasey will be taking on the Head Coach role after injuring himself in the lead up to the tournament. 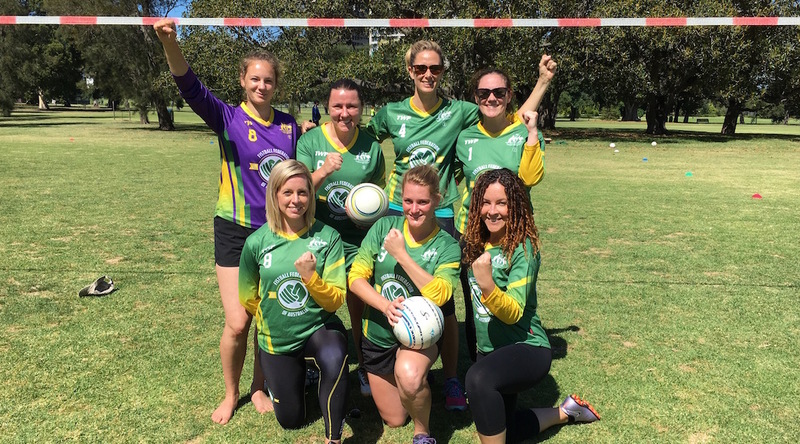 The women’s team is mostly unchanged from the recent 2016 Women’s World Fistball Championships, with only Laura ‘Bagshot Brawler’ Simmonds forced to withdraw due to unavailability. Returning for another crack of the fist will be captain Jessie ‘Lyonheart’ Lyon, vice-captain Lauren ‘Fisterella’ Holding, Lindsey ‘The Fistress’ Lehmann, Erin ‘Sister Fister’ Donnellon and Koreen ‘KJ Fist’ Williams, while the squad will be boosted by the handy additions of Alex ‘RAGE’ Sinclair, Clare ‘Brickfist’ Woodhouse and Laura ‘Parmageddon’ Parmeggiani. Helene ‘Hellfist’ Göppner will be reassuming her Head Coach duties, while she will be joined by Assistant Coach Caitlin ‘Caito’ Ellick. Fist Club will be gathering 6 of their 7 regular fisters to take on the NZ club champions, hopeful of taking home their second piece of silverware in under 4 months. Led by captain Bryce Griesheimer, the team will also include Rod Matthews, Michael Neal, Matt McGrath, Jason McNaughton and Kye Cherian. The New Zealand men’s squad will feature 10 players, led by captain Steve McKenzie, while the 9-person women’s team will be led by Vikki Buston. Fists of Fury, the 2016 NZ club champion, will feature 8 players, all of whom feature in the extended men’s national team squad. I couldn’t be more grateful. Not only for another opportunity to represent The Wombats again, but that the team has entrusted me with the honour of captaincy. We have is a great mixture of guys who’ve played in fistball tournaments before, including my multi-talented VC Super Mario, and some new guys who’ve shown a lot of hunger to play during the last year. I have no doubt we’ll put on a great display of fistball, and have some fun doing it. We have been very fortunate in Australian fistball to have the support of the other nations in getting the game growing in our country, and in February at the Pavlova Plate, we have the opportunity to pass on some of that to our NZ friends and welcome them into the great fistball family. Family aside, Make no mistake, we will be there to win. Unlike Russell Crowe, Crowded House or Phar Lap; come the end of the tournament, the fistball world will know the Pavlova Plate to be as Australian as “another shrimp on the barbie”. I am honoured to have another chance to represent Australia in fistball in an international tournament, but I am privileged to be able to captain the side in a tournament on home soil. The experience we had at the World Championships in Curitiba last November allowed us to train with the best females in the world and their coaches, and we are hoping we can bring some of those refined skills to our games against the Kiwis. I am probably most excited about meeting the players from New Zealand, as The Possums came away from Brazil with not only new fistball skills, but we made some amazing friends and really learnt what “Fistball is Family” really means. We are honoured to be able to be New Zealand’s first exposure to this amazing community. Back Row (L to R): Jason Denholm, Peter Earl, Lee Morony, Bryce Griesheimer, Eric Maddocks. Back Row (L to R): Helene Göppner, Clare Woodhouse, Koreen Williams, Jessie Lyon. Absent: Caitlin Ellick (Assistant Coach), Lauren Holding, Lindsey Lehmann. Pictured (L to R): Michael Neal, Bryce Griesheimer, Rod Matthews, Matt McGrath, Jason McNangton. Congratulations on representing Australia. We will be there to see you overcome the Kiwis! Good Luck for a great game!